STEUBENVILLE — Robert “Skip” Hoffman, 80, a lifelong resident of East Liverpool passed away Sept. 6, 2018 at Valley Hospice Care Center North following a brief battle with cancer. He was born April 18, 1938 in East Liverpool, Ohio. 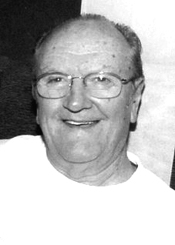 He graduated from East Liverpool High School in 1956 where he lettered in track and cross country. He was also president of the practical manners club, a drum major in 1955 and head drum major in 1956 his senior year. Skip attended Bliss College where he played basketball. He delivered prescriptions for Bloor’s pharmacy and delivered food for Premier Trucking. He later drove tanker trucks for Quaker State and BMI Trucking before retiring from Ashland Marathon. He coached basketball, football and was very proud that he coached minor league baseball at the Old Timers for 28 years, which he considered to be one of his greatest accomplishments. He loved to travel taking his family cross country and enjoyed taking scenic train trips. He was an avid outdoorsman and loved to hunt and fish. He was a proud member of the “Supreme Court” at McDonalds in Calcutta where he gathered five days a week with his friends to solve the world’s problems. He was also a member of the East Liverpool Moose #122 for over 20 years. He was preceded in death by his father Frederick Hoffman; mother Verna Lyons; a step daughter Jessica Wedgewood; brother Chuck Papendry and sister Betty Kilmer. Friends may visit Wednesday at the Dawson Funeral Home where the family will be present from 2-4 and 6-8 p.m. Pastor Tom Adkins will conduct a funeral service Thursday at 10 a.m. at the funeral home.